We are passionate about music education and supporting the incredible work of local nonprofit organizations. Nick is a Managing Director at Secretariat International based in London and has played an active role in the global disputes industry for over over 26 years. Prior to joining Secretariat, Nick spent over 21 years at Keating Chambers in London, where he was appointed Senior Clerk by Sir Vivian Ramsey in 2005. He transferred his skills to the consultancy world in 2013 when recruited into a global construction disputes practice at a publicly traded consultancy. He was the first Senior Clerk to ever make such a move. Nick is the founder of Law Rocks!, a charity fundraising global battle of the bands among legal organisations across the globe. A father of five children, he is also an Ambassador to KidsOut (www.kidsout.org), a charity which gives disadvantaged children positive experiences to support them becoming future members of our society and workforce. Nick has been included in "The Lawyer Hot 100”, a publication listing the 100 most influential people in the Law in the UK who said of him; “Child goes to 11”. Nick started Law Rocks! because he wanted the legal industry to be recognized as givers, not takers. He knew they were, but the public perception was wrong. He now hopes this has changed for the better, and that Law Rocks! will forever put the ‘fun’ into ‘fundraising’. By night, Mr. Scott is a co-founder and the current President of Law Rocks where he believes that rock n roll can change the world. Damian Hickman is the is the Managing Director of The International Dispute Resolution Centre, which he set up in 2000. Before this he was the Manager of The Fleet Arbitration Centre which he joined in 1994. Damian is been regularly consulted in the setting up of other dispute resolution centres around the world. Damian is a member of the International Arbitration Charity Ball Committee and Compere/Partner of Law Rocks! and a Governor of the Europa School, a bi-lingual free school in Oxfordshire. He comperes as many Law Rocks! gigs around the world as he can get to and is very much the 'face' of Law Rocks! Brandt Mori is Counsel at Venable LLP. Mr. Mori's practice focuses on representing clients in complex business and real estate acquisition, sale and financing transactions; domestic and international joint ventures; hotel and restaurant/nightclub management agreements, development agreements and brand/trademark license agreements; celebrity chef consulting and license agreements; office and retail leases, including restaurant and nightclub/bar leases; private investment offerings; and general commercial agreements. Mr. Mori's general corporate experience also encompasses the formation and structuring of new business ventures, product licensing and distribution, equity and debt financings, corporate restructurings, corporate disputes and general corporate governance. Rob Buchanan is a construction and engineering lawyer based in Sydney and a partner at Pinsent Masons. Rob is qualified as a Solicitor in New South Wales, Australia and in England. He is also a Chartered Civil Engineer and worked for a main contractor on a range of projects before requalifying in law. Rob has significant experience in construction and engineering disputes arising out of major projects. He has a particular focus on energy, mining and major infrastructure. His clients include Thiess, Snowy Hydro, Vestas, McConnell Dowell, Lend Lease and Parsons Brinckerhoff. Rob is deeply engaged with the construction market and has represented clients delivering most types of infrastructure. He is able to provide advisory support during the construction phase of large projects; and works in litigation, arbitration (international and domestic), adjudication, mediation, expert determination, conciliation and negotiation. Carolina is an Associate in Berwin Leighton Paisner’s Contentious Construction & Engineering practice and is currently based in Hong Kong. 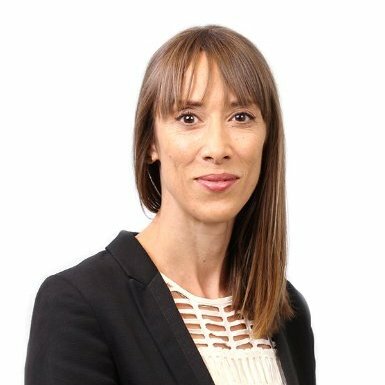 She has experience of complex international arbitration and highly technical construction disputes across a number of sectors (including energy, infrastructure, commercial property, transport and utilities). Carolina is admitted as a solicitor in England & Wales but was also called to the Bar (the Honourable Society of the Middle Temple) in July 2008. Anil, a Mediator, Adjudicator, Arbitrator, Advocate & Solicitor of Singapore and Solicitor of England and Wales is managing director (& general counsel) of ChangAroth Chambers LLC and ChangAroth InterNational Consultancy. He has been in practice and in house since 1995 primarily involved with appropriate dispute resolution of Constuction and , after qualifying as a Barrister of England and a short career as infantry officer with the Singapore Armed Forces. Anil’s Pro Bono and charity work since 1997 includes the Children’s Cancer Foundation’s Hair for Hope and in the constituency of Jurong Town mentoring ex-inmates, family youth under TASEK Jurong (connected to the Yellow Ribbon Project) and legal and community affairs for the Honourable Deputy Prime Minister of Singapore Mr. Tharman Shanmugaratnam. Sidika Baysal Hatipoglu leads the Corporate Law team of the B+B Legal in Istanbul, specializing in International Mergers & Acquisitions and Technology Law. She is recognized as a Technology Law and M&A expert and has extensive experience representing a variety of Turkish and international clients on buy and sell sides. She also acted as Secretary General and Board Member of GYIAD (Young Executive and Entrepreneurs Association), and currently the Vice-chair of European Regional Forum of the International Bar Association, and a Board Member of the Make a Wish Foundation in Turkey. Fiona is an Associate in the Disputes team at Simkins LLP. She is dual qualified in England and Wales as well as Scotland. Fiona is primarily involved in the media and entertainment industries and has unique experience of advising high-profile/high net worth individuals and corporate clients pre and post publication, both north and south of the border, on issues of defamation, reputation protection, crisis management, harassment, privacy, the media regulatory codes, data protection, copyright and passing off/false endorsement. Fiona also handles commercial disputes and has a broad range of experience across a variety of sectors. 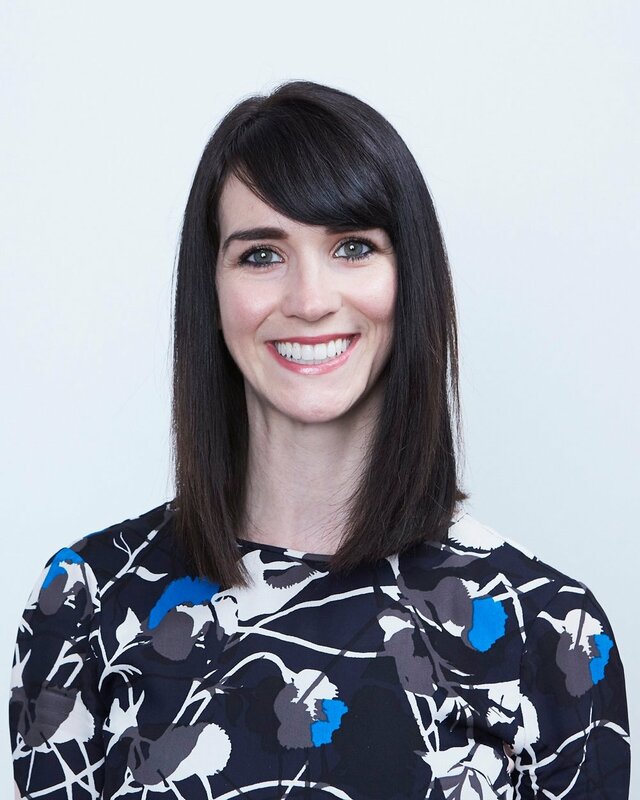 Before joining Simkins in 2016, Fiona spent eight years in private practice in Scotland and has in-house experience from the Royal Bank of Scotland, BBC Scotland and FirstGroup plc. Fiona’s pro bono and not for profit work includes working at Citizens Advice Bureaus, being President of the Scottish Young Lawyers’ Association, which involved educating and representing lawyers up to 10 years’ qualified and lobbying on issues around access to the profession which resulted in National Minimum Wage being introduced for lawyers in Scotland for the first time and obtaining Counsel’s opinion on making trainees redundant (providing firms cannot do so). Fiona has also been a Director of LawWorks Scotland since 2013, which works with partners from across the commercial, public, voluntary and community sectors to put in place legal services for people who are not eligible for legal aid and who are without the means to pay for a lawyer. Having benefited from free music tuition at school herself, Fiona is concerned that free music tuition is increasingly being stripped from schools across the UK. She passionate about music education and the Law Rocks cause. Sara is a Senior Associate in Berwin Leighton Paisner’s specialist Construction & Engineering practice based in Singapore. She has worked for clients from all sides of the construction industry and has experience of conducting arbitrations under the SIAC, LCIA, ICC and UNCITRAL rules. Sara is a Solicitor-Advocate and has Higher Rights of Audience in the English Courts. She was called to the Bar of England and Wales in October 2008 (the Honourable Society of Lincoln’s Inn). Sara is a member of the eDisclosure Working Group of the Technology and Construction Court (UK) and the junior sub-committee of the Technology and Construction Solicitors’ Association (“TeCSA”), TeCSA 10s. Louise, Senior Associate at Norton Rose Fulbright, has broad experience advising different parties on construction and infrastructure projects in a variety of sectors, with a focus on transport. She has advised on a wide range of PPP and UK PFI projects at all stages of the procurement process, as well as construction projects (using both D&C and construct only contracts) and services contracts. She is admitted in both England and Wales and New South Wales, Australia. More importantly perhaps, she sang at, and won, the first ever Law Rocks! gig at The 100 Club in London in 2009. William is a Director at Ankura based in Hong Kong. William specializes in acting as or working with expert witnesses on complex time and quantum cases. William has over 20 years of claims preparation/ management experience globally. William is proud to be associated with Law Rocks and to be able to contribute to the organization of Law Rocks! Hong Kong. Natasha is a Director at Secretariat International based in the London office. Prior to joining Secretariat Natasha held senior positions within the Clerking teams at both Essex Court Chambers, and more recently Atkin Chambers where she spent 11 years. Secretariat's professionals specialise in international arbitration, general commercial arbitration & litigation, forensic accounting, economic damages, construction and government contracting. Secretariat International are headquartered in Atlanta and have offices across Los Angeles, Denver, Mexico, New Jersey, New York, London, Birmingham, Dubai, Singapore and Hong Kong. A mother of two children, she is also an Ambassador to KidsOut (www.kidsout.org), a charity which gives disadvantaged children positive experiences to support them becoming future members of our society and workforce. Natasha is the third musketeer based in London who along with Nick and Damian helps pull all the gigs in London and anywhere west of the UK together. Natasha has been an enthusiastic attendee at more Law Rocks! gigs than she cares to recall, and has also judged our Gig in the UAE. Nadia is Commercial/IP Solicitor at Pinsent Masons LLP in Manchester, following her training at a leading media and entertainment firm in the heart of London’s West End. She advises on commercial matters for a range of clients, including those in the technology, fashion and retail sector, as well as specialising in intellectual property law, where she advises on trade marks, copyright, design rights and data protection. Nadia is a seasoned pro when it comes to Law Rocks, having competed in three Law Rocks as lead singer of Conflict of Egos, and London’s 6 of the Best in 2017. Shawn Dailey has been a professional touring and recording musician since the age of 17. Most recently he played bass for Courtney Love / Hole. He has also toured and recorded with several other critically acclaimed rock bands. He currently serves as Executive Director for the Take Me to The River Music Education Initiative, a charity that seeks to inspire a deeper understanding of civil rights, music history, and cross-generational collaboration. Greg Doll is the founding partner of Doll Amir & Eley, an 18-lawyer litigation firm in Century City. He has been a drummer for 30 years, and played professionally for several years on the Sunset Strip in the 90s, sharing the stage with bands such as Incubus and System of a Down. His current lawyer band, Big Dicta, has played Law Rocks in Los Angeles for the past four years, and took home top prize in 2015 alongside Latham & Watkins’ band, Diversion. As SVP of Client Services at JND Legal Administration, a premier legal management and administration company, Amanda leads the client services team by driving strategic direction and ensures remarkable client experience. In addition to consulting with key decision makers, Amanda has currently taken on the charge of growing JND’s operations team on the west coast. Amanda’s career is impressive and began right out of high school where she worked for a legal administration company. While climbing the ranks she put herself through school at UCLA and law school before practicing law herself in the class action sector. Her vast legal background brought her back to legal administration in 2005. During her tenure, Amanda has led many significant music industry administrations – including the Napster Copyright Litigation and the NMPA Late Fee Program, a 2010 out-of-court settlement between major music labels and music-publishers. But Amanda isn’t all business; she’s quite the rocker herself. Singing since childhood, Amanda has fronted numerous bands. Most recently Amanda is the vocalist for The Multipliers, a band she formed with clients. The Multipliers was specifically assembled to support The Western Center on Law and Poverty for Law Rocks SF, where they took the Great American Music Hall by storm in 2015 and 2016. Charles “Chuck” Jarrell is a partner at Allen Matkins whose practice focuses on commercial litigation, with an emphasis on complex business disputes and commercial fraud claims. His practice encompasses a broad spectrum of litigation, including real estate, partnership, environmental, and construction disputes. Mr. Jarrell also serves on the board of Law Rocks and the Ketchum-Downtown YMCA. When he is not serving his community, Chuck is the band leader and guitarist for Attractive Nuisance. He has also served as the emcee of Law Rocks events. 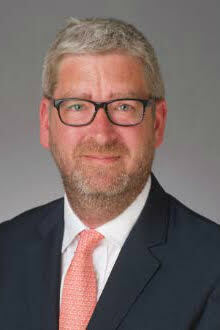 Eric Kennedy is a Shareholder in the Los Angeles office of Buchalter and the Chair of the Automotive Industry group. Eric’s practice focuses on all aspects of commercial litigation with an emphasis on class action defense. He is the lead singer of Attractive Nuisance. In addition to Law Rocks, Eric serves on the boards of the Triunfo YMCA and the Los Angeles Center for Law and Justice. 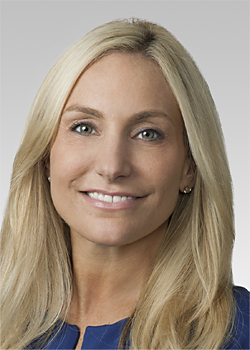 Charity O’Sullivan is a Senior Vice President and Client Executive in the JLT Specialty USA’s Los Angeles office. Prior to joining JLT Specialty USA, she was at Marsh Risk and Insurance since 2006, where she was a Client Executive within the Environmental, Real Estate and Technology industry. In her tenure at Marsh, Charity led the Pacific South Partnership Environmental Practice. She has more than 18 years of experience in the insurance industry. Prior to joining Marsh, O'Sullivan was with Chubb as an underwriter and loss control representative. Charity started her career as an environmental consultant and utilizes this background in advising her clients and attorneys of alternative pollution risk transfer programs. Joe Trofino is the Associate General Counsel and a senior executive in the Legal Affairs Department at ICM Partners, one of the world’s largest talent and literary agencies with offices in New York, Los Angeles, and London, where he focuses on general corporate legal matters including litigation, corporate contracts, regulatory compliance, insurance matters, real estate, employment, business development and legal policy matters. The agency represents creative and technical talent in the fields of motion picture, television, books, music, live performance, branded entertainment, and new media. Joe joined ICM Partners in 2008. Joe also serves on the board of trustees for the Beating the Odds Foundation, which helps America’s youth achieve success by empowering them to live meaningful, purposeful lives as caring human beings and builders of caring communities. Debbie White, partner at Loeb & Loeb, focuses her practice in the music, motion picture and entertainment industries, with particular emphasis on representing recording artists, songwriters, producers, managers, record companies, publishing companies, and digital media and technology companies in their ongoing business affairs. Recognized as a top entertainment lawyer by leading publications such as Variety, The Hollywood Reporter and Billboard, Debra is known for her work negotiating multimillion-dollar recording contracts, as well as agreements related to publishing, worldwide touring, film soundtrack and Broadway cast albums, merchandising and sponsorships. A significant portion of her music practice centers on the development of copyright strategies and implementation of licensing efforts for digital companies, major advertisers and advertising agencies, sports and television networks, and entertainment companies. Her experience representing talent, combined with her in-depth understanding of licensing and publishing rights, uniquely positions Debra to address the complex issues that arise when artists work with subscription streaming services and other new media companies and licensors of digital content. She also leverages her talent and recording relationships to negotiate entertainment-related strategic marketing partnerships, tour sponsorships, brand integration agreements and celebrity product endorsement deals on behalf of advertising agencies and Fortune 500 companies from a variety of industries. In addition, Debra represents actors, fashion designers, athletes, chefs, models and high-level industry executives in a range of traditional entertainment matters. She has been very successful at expanding her clients’ interests through ventures such as book publishing, fragrance and cosmetic licensing agreements, non-scripted television deals, and infomercials. Debra's practice is international in scope, and she is increasingly active in Asia’s expanding entertainment and media market, with clients that include China’s largest tech company and one of the most popular K-pop bands in history. Omi Crawford joined Law Rocks in mid-2014 as the Director of Marketing and Development. She has extensive experience in nonprofit management, development, marketing, and event planning, as well as the creative and performing arts. Omi is inspired by the tremendous good that local nonprofits do for their communities and is a true believer in the power of music.